Sri Lanka can look forward to US military assistance to crack down on LTTE terrorism as the United States is now considering to lift the arms embargo following the recent release of child soldiers by the Tamil Makkal Viduthalai Pulikal (TMVP). 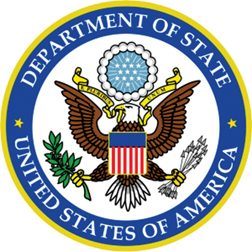 The United States which has come down hard on terrorism, suspended air and maritime surveillance assistance to Sri Lanka last year citing two reasons - recruitment of child soldiers by the TMVP and human rights violations. US Ambassador Robert O. Blake told the Sunday Observer that there was a possibility of resuming military assistance to the government to defend the LTTE. “US military assistance is currently suspended due to two provisions in the US law. The first being child soldiers. The TMVP has released over 50 child soldiers and this is a very good sign”, he said. Blake said that the US had welcomed the move publicly and hope they would release more. According to UNICEF figures over 100 child soldiers were still in the custody of the TMVP, he said. “The US believes that we will be able to lift that particular restriction and to continue to provide military assistance if the TMVP releases more children”, he said adding that the United States is working closely with the government to improve its human rights record too. Blake said that US military assistance in the areas of air and maritime surveillance has helped the government to detect LTTE arms shipments in the territorial waters of the country. The American Ambassador is positive that the US Millennium Challenge Corporation, which de-listed Sri Lanka, would also make another decision to consider to fund Sri Lanka again. “Hence that is another reason that we encourage the government to improve its record on human rights. This will enable us to cooperate more with Sri Lanka”, he said. Blake said that LTTE child conscription was done in a greater magnitude and the number of children with the LTTE was 15 times more than those who were in the custody of the TMVP. Quoting UNICEF figures, he said that there would be over 1,600 child soldiers still in the hands of the LTTE. “This is a very serious concern and the US has joined the UNICEF and other agencies urging the LTTE to release these children”, he said. When asked whether there would be any change in Washington’s stand with regard to the support to Sri Lanka if the US Presidency shifts from the Republican to Democratic, he said that the main interest of the US was to see an end to the national problem and the US approach to Sri Lanka would remain unchanged. “The US approach to Sri Lanka is generally a bi-partisan approach and it would not be changed dramatically under Barack Obama or John McCain. Either way the US will continue to have a strong and friendly relationship with Sri Lanka”, he said.